We provide a wide spectrum of colours and styles to suit any home, all with high thermal efficiency ratings, that stand the test against all weather conditions ensuring long life and low maintenance, compared to a wooden door. 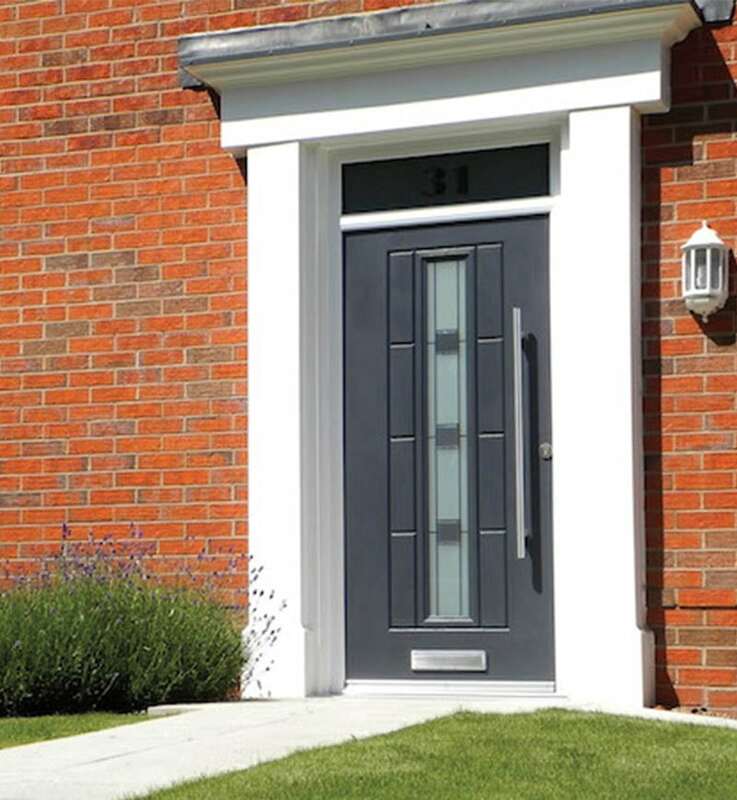 If you are looking to replace your front door and are looking for a stylish yet secure option, why not take a look at our range of UPVC doors? Just like with all the Your Choice products, security is paramount. This is why all of our UPVC doors features endurance-tested hinges, powerful and robust multi-point locking system incorporating three counter-rotating hook bolts. These are activated by one of our most advanced security features – a handle that resists levering or tampering with a corrosion resistant stainless steel lock faceplate and a Yale lock that’s anti-bump, anti-pick, and anti-drill. 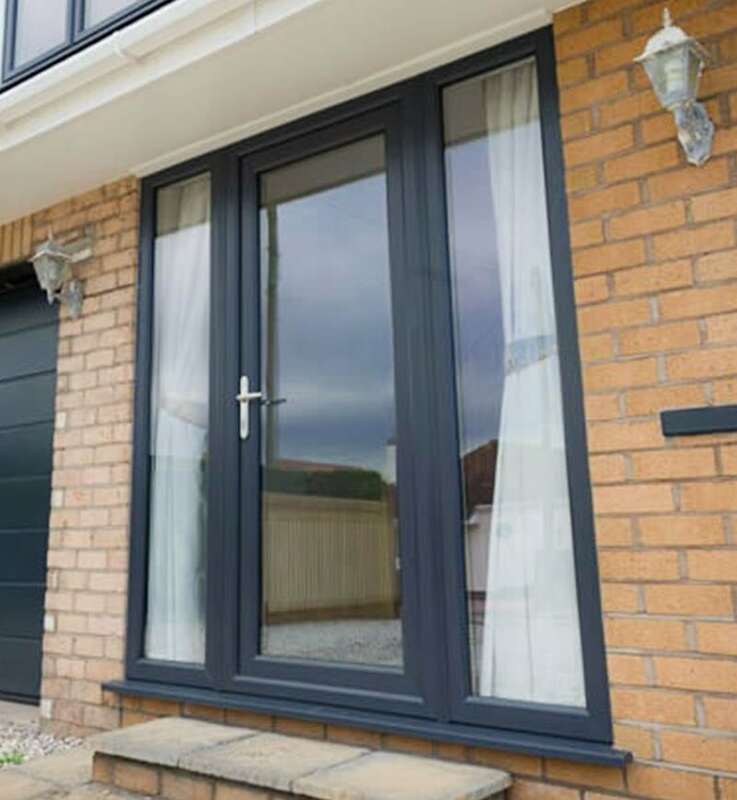 As a result, our PVC doors are extremely secure and offer our customers that extra peace of mind knowing that the most advanced security features will come as standard when they choose a UPVC door. 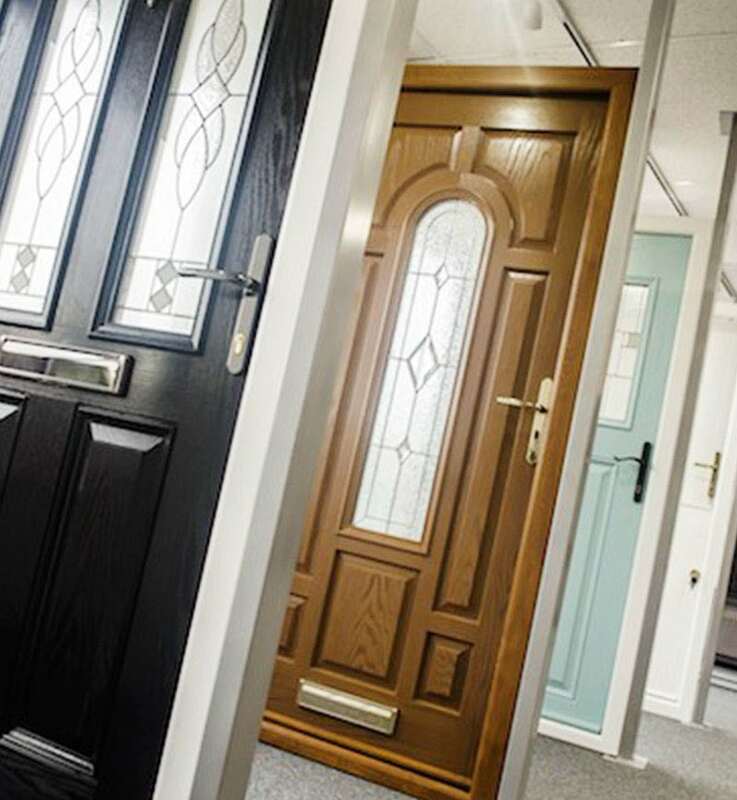 Our range of UPVC doors is second to none, offering a wide range of different styles including four colour finishes, decorative glass, and door furniture options. All of our PVC doors are virtually maintenance free and will be designed especially for you and your property ensuring a perfect fit every time! 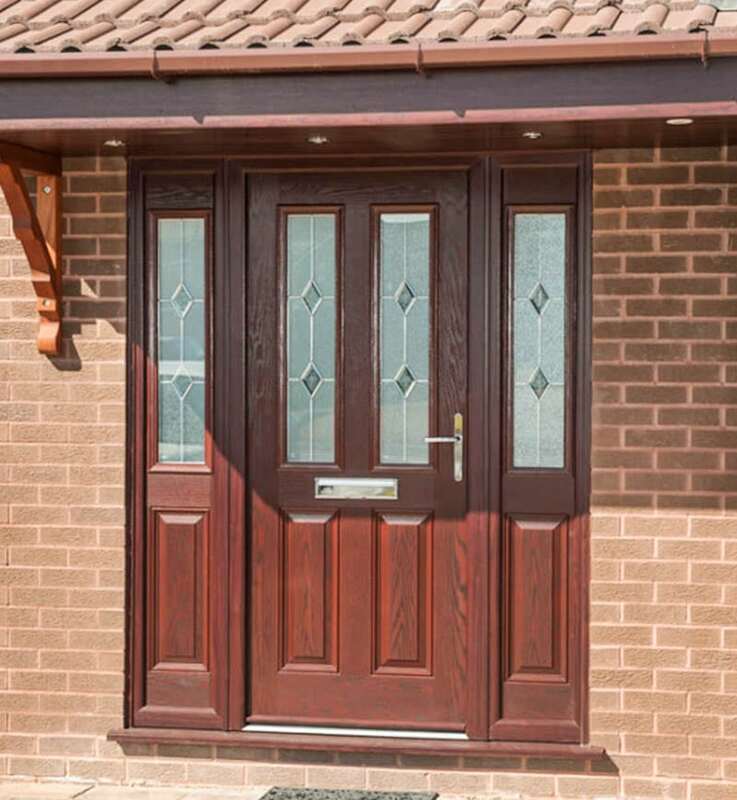 Our great range of composite doors provides a solid high-security door solution that perfectly replicates the look and feel of a timber door in a low maintenance weather-proof finish that is guaranteed to last for years. These beautifully moulded and richly grained doors are available in a range of elegant styles and colours to suit your style and individual tastes. Each composite door is made to measure, including a low height range, ultra-slim side-light so our doors can fit almost any entrance size. Thanks to the low maintenance durability, BSI Kitemark accreditation for weather-proofing, automatic locking and high-security multi-point and shoot bolt locking as standard. Your Choice composite doors also come accredited by the Secured by Design Police Approved Initiative (with the option of a Yale security lock upgrade). Whether it’s a front door or a back door, a Rockdoor creates the perfect look for your home. Each door is made measure and is never “off the shelf”, meaning your door is one of a kind! A Rockdoor will survive years of use and abuse. Being virtually maintenance free the Rockdoor will last well over thirty years! You can choose from a huge range of doors, having your choice in colour, glass design and door furniture. Rockdoor is consistently found to be one of the most secure options available for homeowners, each door contains nickel-coated solid brass hook locks that slide into steel keeps that run the full length of the doors outer frame. Each Rockdoor lock comes with our 3-star cylinders (the best available), multi-point locks, 560mm thickness, hinge blocks, steel drill plates, carbon fibre reinforcement, toughened glass, S-Glaze technology and high impact uPVC skins. This means the only thing that is getting through your Rockdoor is your own key! As Rockdoors have such a high-density core, it’s impossible to cut through them. 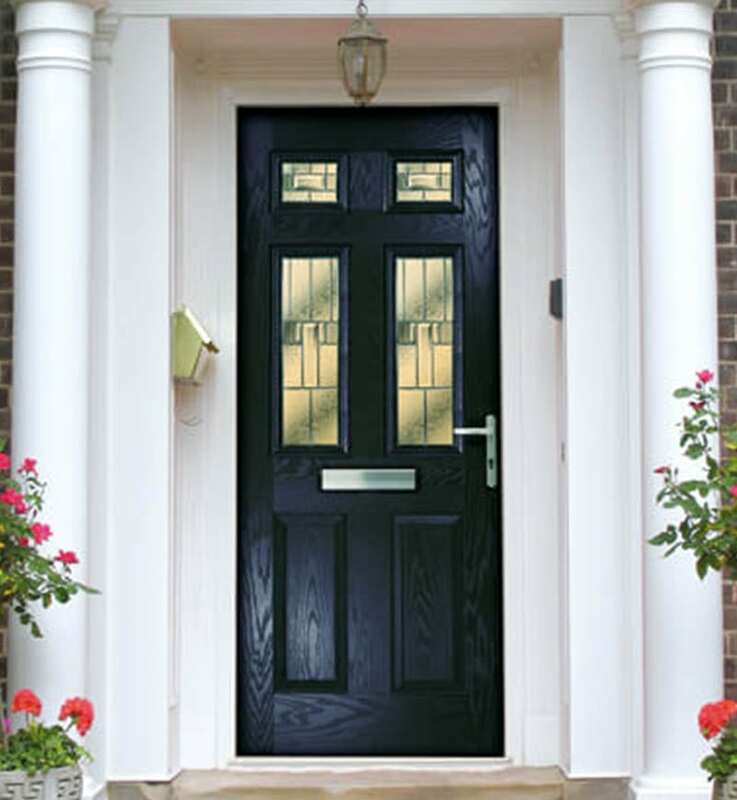 This also ensures we offer the most energy efficient (A++ Rated) composite door available. Rockdoor Select series Features a 44mm sash, double glazed unit and thermally efficient glass. This series is E-rated which meets the industry standard keeping you warm and cosy in your home. This door also provides a level 5 security rating making it much more secure than standard door panels. The door comes with secure shoot bolt locks and reinforced outer-frame. 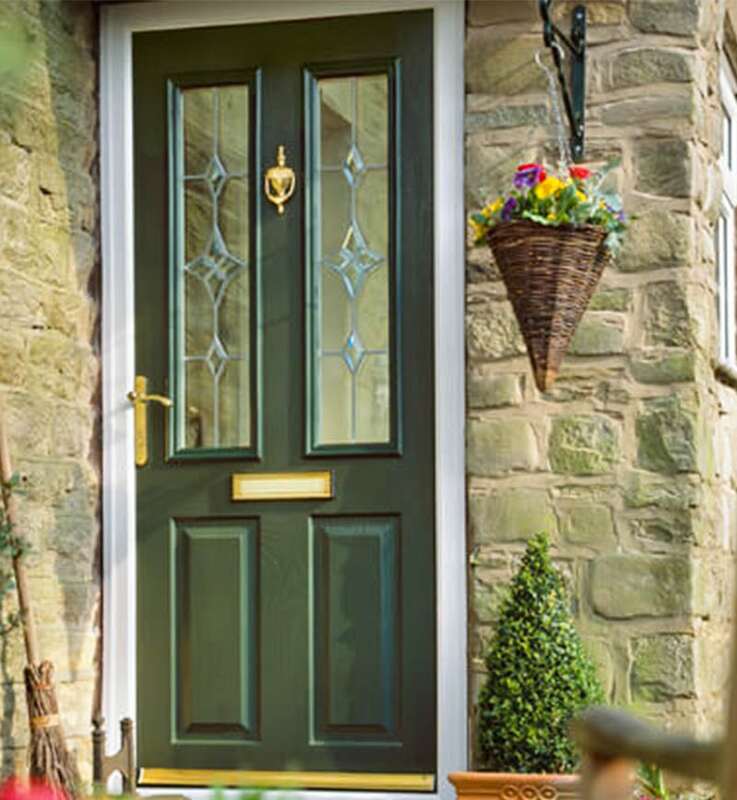 Rockdoor Elite series features a 44mm sash, argon filled double glazed unit and hard coat thermally efficient glass and is C-rated as standard. The Elite Series provides a level 3 security rating which will still surpass what many other composite door manufacturers can achieve. 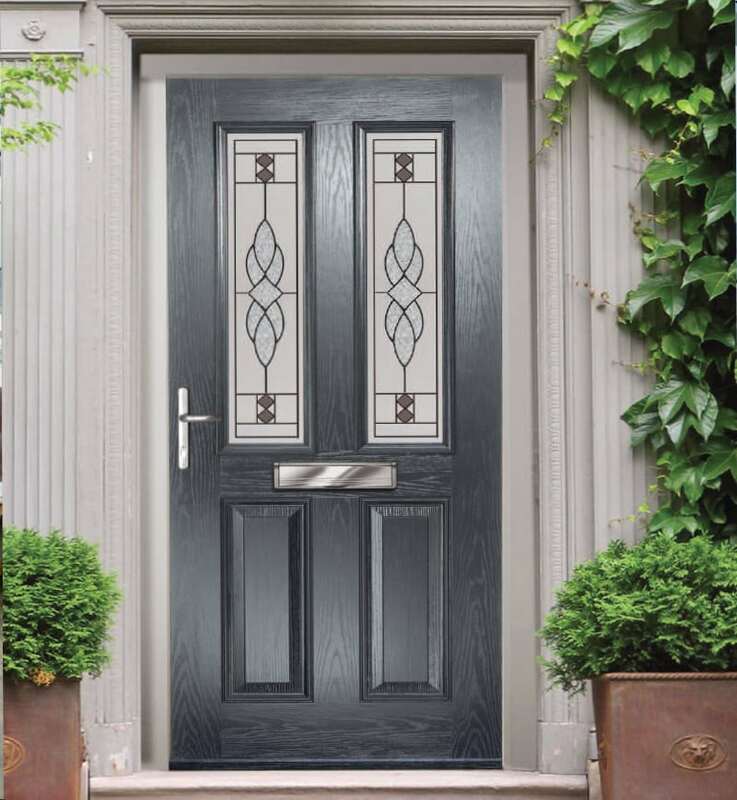 Rockdoor Ultimate series features a 50mm thick door sash, argon filled double glazed unit, soft coat thermally efficient glass and a carbon fibre reinforced inner-frame and is A-rated as standard. This is the most secure door in this range providing a level 1 security. Ultimate Series Rockdoor is virtually impenetrable to burglars’. All residential doors feature high security locking and can be upgraded to a Magnum high-security anti-snap anti-bump cylinder. Yale keyless entry is also an option if you prone to losing your keys or if you look after an elderly relative. A low threshold option is available including a Part M compliant version if you have any mobility needs that need to be factored into your new door system. Each door is Secured by Design (SBD) – a ‘Police Preferred Specification’ aimed at reducing burglary and crime in the UK by designing out crime through physical security and processes. SBD is also an affordable option on UPVC doors with a simple lock upgrade. Just ask us for the SBD option when getting a quote. Thermally broken aluminum low thresholds are available as an option on Visage Composite and PVCu doors. These are also suitable for French, Residential and Stable doors. Our Stable doors also look great with equal sized glass or panels in both the top and bottom half of the door. 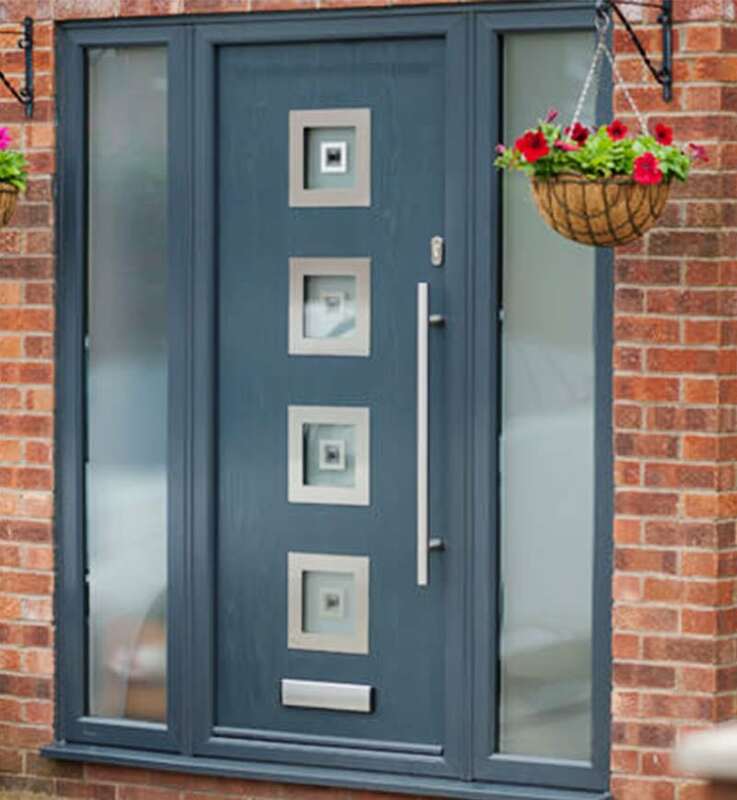 The doors are available in our full range of standard colours including anthracite grey. Typical in many ‘farmhouses’ both new and old, Shepley Stable doors enable the character to be maintained whilst benefiting from modern-day PVCu providing a long-term, low maintenance option. All doors feature high-security top and bottom locking as standard. Visage offers thirteen colour options off the shelf for fast delivery plus hundreds of RAL colours to choose from. 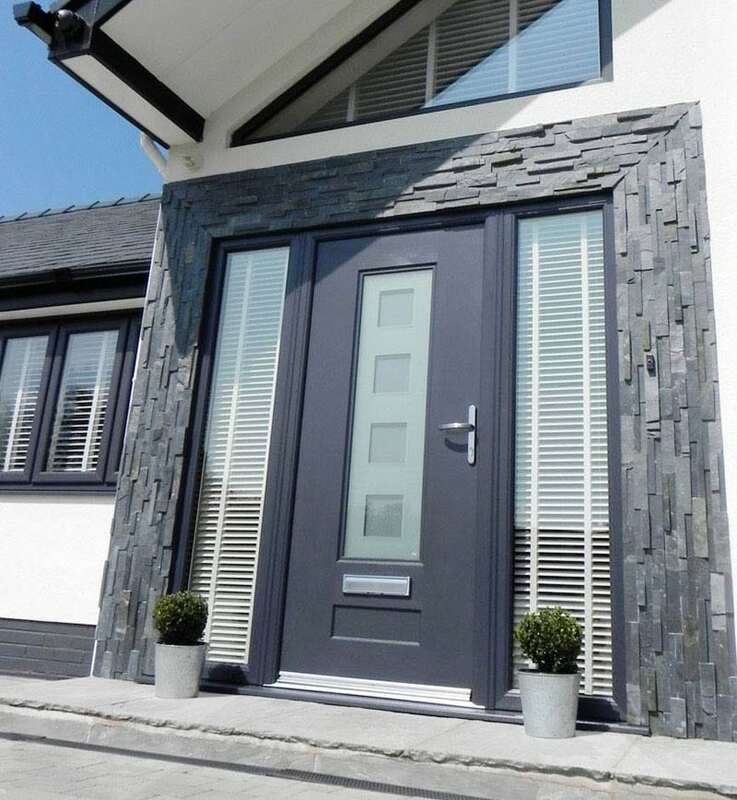 Shepley’s standard colour foil range covers the most popular choices for homeowners included Chartwell Green, Irish Oak, Cream and the new smooth Anthracite Grey.